Andrew Lyon, owner and therapist with Stonebridge Family Counseling has been licensed since July of 2017. After 5 years of schooling and supervisions, Andrew graduated with a Masters of Arts in Marriage and Family Therapy. Andrew spent 2 and half years under the supervision of two 25 plus years experienced therapists, learning and honing his counseling methods and practice. Andrew further has a Master in Christian Ministry and is presently pursing his Doctorate in Ministry from Amridge University. Andrew has been married for 23 years and has 8 children. 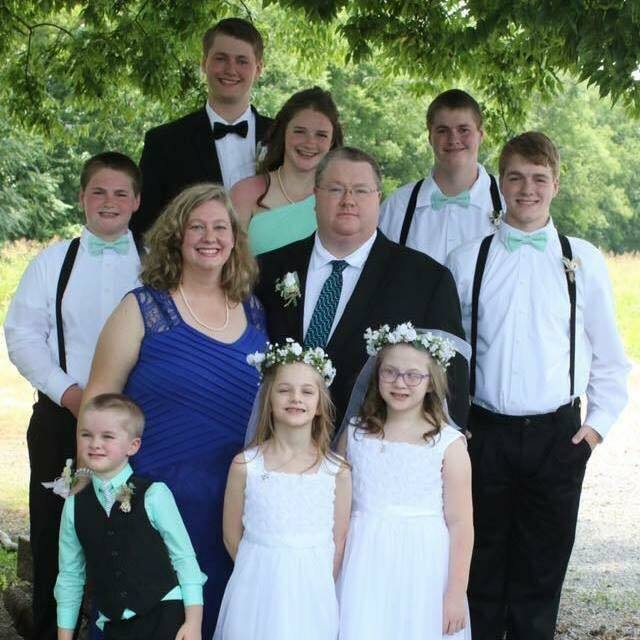 His experience in marriage and many children give Andrew great experience in life and a unique perspective of the inner workings of marriage, family and raising children. Life is full of ups and downs, but these times do not define us, nor do they determine the direction that our lives will take. Counseling is not meant to last forever, counseling can help provide long term solutions to short term problems. It is a relationship that can be extremely beneficial during the storms of life by helping to provide clarity, understanding and renewed hope when we need it the most. Life is difficult at times, but we can work through these trying times knowing that there are solutions to our problems. Andrew Lyon, LMFT with Stonebridge Famly Counseling can help you make sense of the storms in your life. Together, we can begin making small changes TODAY that can lead to BIG CHANGES tomorrow! You can take the first step to changing the direction that your life is on TODAY! Today is the day to take back your life, your marriage, and the relationships in your life that are too important to continue to ignore. Take this opportunity to MAKE A DIFFERENCE in your own life.